I first met Carin on Gordon’s Bay beach in early 2017. My husband wanted to go fishing and I knew that was going to bore me beyond imagination, so I took our eldest doggy child with for a casual walk on the beach. And there sat this lady with a very friendly smile and inviting personality. She pretty much greeted me and invited to sit and chat with her upon making eye contact. We sat and just chatted about everything and anything while our doggy children were having a play on the beach. A good two hours later my husband came wondering by to see where I had disappeared to and I introduced them to each other. From there a beautiful friendship bloomed with many social visits between us. Carin was travelling abroad when The Angel Gown™ Initiative started and when we fetched her from the airport on her return flight I eagerly told her about it all. 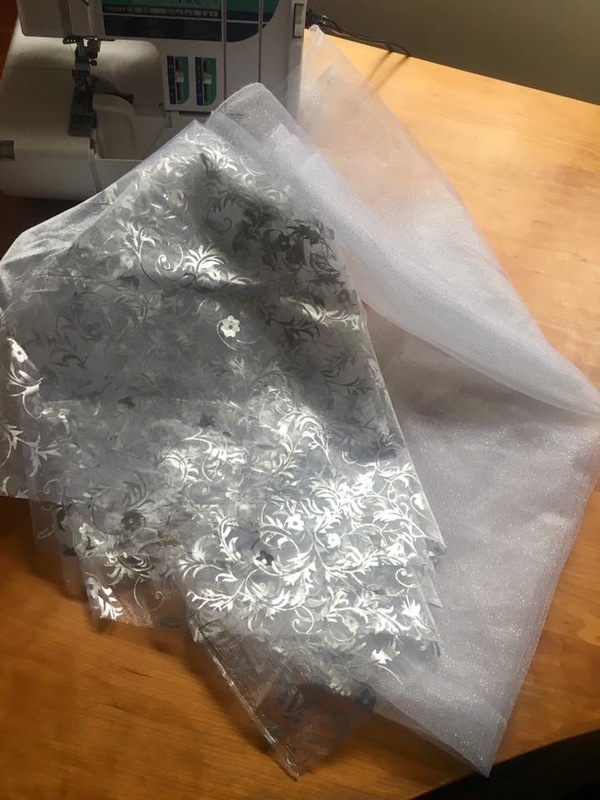 On our next dinner date she made her first donation to TAGI which was a few meters of glitter tulle and a printed organza – although these fabrics can’t make up an Angel Gown™ on their own, they will make beautiful trim to an otherwise plain looking Angel Gown™. Thank you Carin for your beautiful donation.